Not much in 2018 for heavy metal becomes a blind buy during week one – but the buzz about social media for the 18th studio album from UK metal stalwarts Judas Priest has been immense. Especially previewing the first two singles “Lightning Strike” and the title track prior to release, and knowing the band solidified the best recording/production team of Tom Allom and Andy Sneap – anticipation is on high for the group to concentrate on leveling listeners musically. 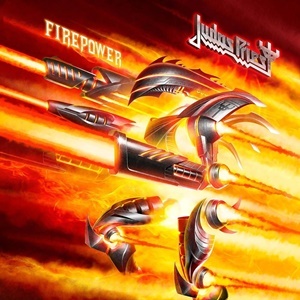 After a few passes, it’s safe to say most Judas Priest mavens will smile and crank this frequently at peak volumes – as it’s easily their best record in 28 years. Front loading the record with the two faster double bass driven cuts, it’s satisfying to know that the Tipton/Faulkner guitar team can roll out those tasty riffs for Halford to snarl and sing in metal comfort – all the while allowing Scott Travis to flash his percussion mastery. After that, the record settles into a variety of mid-tempo offerings – occasionally bringing up aspects of the classic 70’s catalog with the lower register vocals during sections of “Children of the Sun” while delving into the mid 1980’s for “Flame Thrower” in the mechanized stomping nature of the rhythms and transitions. The lead play continues to be melodic and flavorful, and much of the songwriting takes on that spirit that made Screaming for Vengeance plus Painkiller mandatory, benchmark Priest records. When you need that epic flavor where a clean intro gives chase to a series of swinging, axe-hero passages – turn to “Traitors’ Gate” as Rob strides valiantly over the top, the chorus worthy of battalions charging into battle. At 14 tracks and almost an hour playback, there can be a couple of less than ideal moments (for this scribe, “Lone Wolf” is a bad Sabbath-esque stutter step) – but in the end, Firepower lives for the heavy metal principles Judas Priest developed and put them in the hearts of millions.